The Eucharist in Scripture emphasizes the importance of meals shared in faithful fellowship as part of our covenant relationship with God. Old Testament meals and promises provide the foundation for gospel meals with Jesus, culminating in the Last Supper as understood by Paul and in Matthew, Mark, and Luke. 'Breaking bread,' in Acts and the Bread of Life discourse in John are carefully examined. Six sessions including introduction. Clifford M. Yeary is the associate director of Little Rock Scripture Study, for which he writes and revises study materials and presents wrap-up lectures. He is the author of Pilgrim People: A Scriptural Commentary published by Liturgical Press, and is a contributor to The Bible Today. 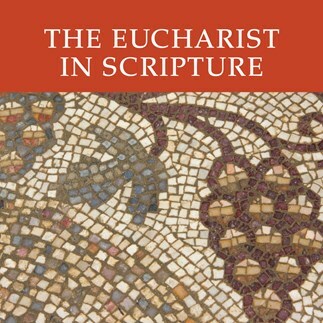 These lectures correspond to the six sessions outlined in the Study Set for The Eucharist in Scripture. Wrap-Up Lectures on DVD or CD may be ordered separately.